Looking to become a 4-H member? Well we would be glad to have you! 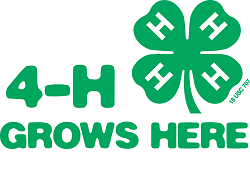 4-H membership is open to all youth 5K (five-year-old Kindergarten) through one year out of high school graduation and not to extend beyond the age of 19 as of December 31st of the enrollment year. 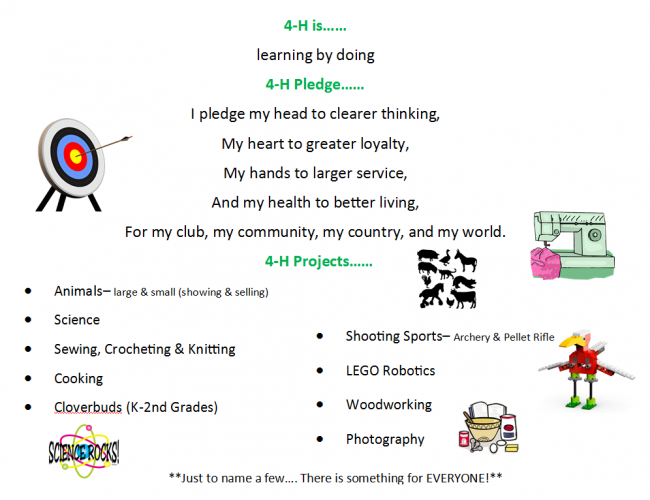 Here a a few quick steps to take in order to join 4-H! Step 1– Select a club. Check out our list of clubs through out our county to find a club near you! If you are having a hard time deciding which club to join, contact the club leader or the Price County UW-Extension office to find out more about the clubs. Step 2– Contact the leader of the club you would like to join. This way you can find out about meetings and any projects that may be going on in the club. Step 3– Check out projects that are available in Price County 4-H! You can find a list of projects in our Enrollment Guide. Things to consider when choosing a club!